Discover Ricefields Plantation in Pawleys Island with a RE/MAX Southern Shores agent! Ricefields located in Pawleys Island, South Carolina, is recognized as a great place to live. Ricefields is a very highly desirable, established neighborhood. You will find wide roads lined with sidewalks and bike paths, wooded home sites and lush, meticulously landscaped lawns. The land for sale in Ricefields ranges between $150,000 and $390,000. 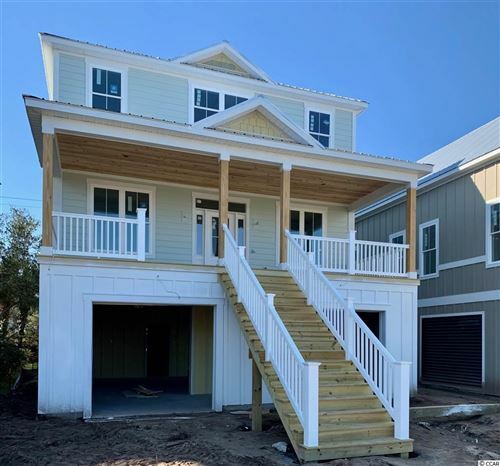 Homes for sale in Ricefields range from about $340,000 to $1.2 million, depending on the location within this established Pawleys Island subdivision. Real estate located near the Waccamaw River offers natural, private views of the marshes and wetlands associated with coastal South Carolina. Located within minutes of schools, yet tucked away from the hustle and bustle of the activities of Pawleys Island, Ricefields sits beside the Waccamaw River, on land once occupied by historic rice plantations. A community boat ramp provides access for Ricefields residents to easily put a boat in the Waccamaw River and enjoy a beautiful day of sailing, fishing or enjoying the natural beauty Pawleys Island has to offer. This land’s history remains a part of the rich heritage in Pawleys Island, SC. Ricefields has approximately 250 homes and is still growing. One side of Ricefields is adjacent to the top-ranked Caledonia golf course, where some Ricefields residents have stunning fairway views. At the back of the development is a natural, grass-covered walkway leading to the banks of the Waccamaw River. The Homeowners Associated, governed by 6 board members and very active residents, make Ricefields a premier place to live. If you are looking for Pawleys Island real estate, close to shopping, fishing, biking, golfing and the fabulous beaches, Ricefields located in Pawleys Island, SC is truly a place to call home. Come explore coastal living at its best with a RE/MAX Southern Shores real estate agent.